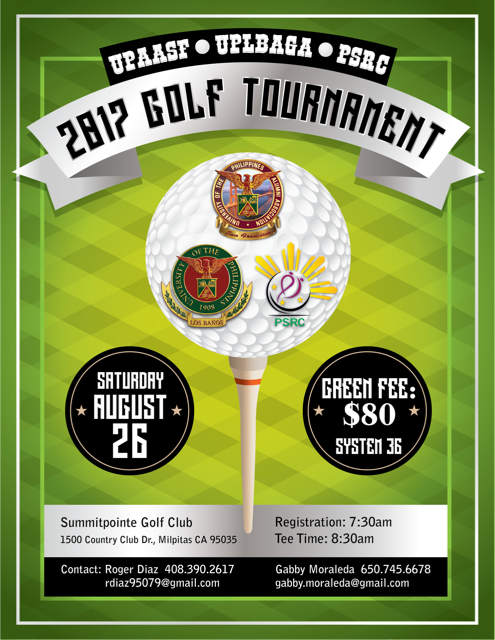 The UP Alumni Association of San Francisco, in cooperation with the UP Los Banos Alumni Group in America and the Pilipino Senior Resource Center, is proud to be hosting this year’s Golf Tournament! The $80 fee includes the green fee, free use of a golf cart, and lunch. Sponsorship starts at $200 per hole.